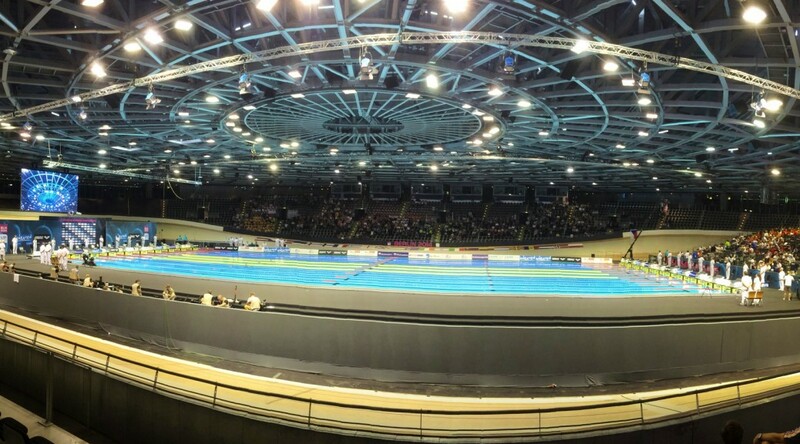 It’s been quite a meet for Great Britain so far – after a tough Commonwealth campaign only a few weeks ago nobody really knew what to expect coming to Berlin, to a meet which is the main focus for just about everyone else attending. And yet the mid point of the meet sees the GB squad atop the medal table – with double the number of medals of Sweden in second place and strong chances for more podium places over the coming days. A solid first night saw the team claim two bronzes, but the floodgates opened on the second night with 7 medals following in quick succession. A bronze added on day 3 set the team up to attack to their previous best performance at Europeans, the 18 medals (including 6 gold) won in Budapest in 2010. But what has been so impressive thus far is that the medals have not only come for those who had put in successful Glasgow campaigns, albeit they represent the bulk of the podium placings, but also from those who hadn’t. 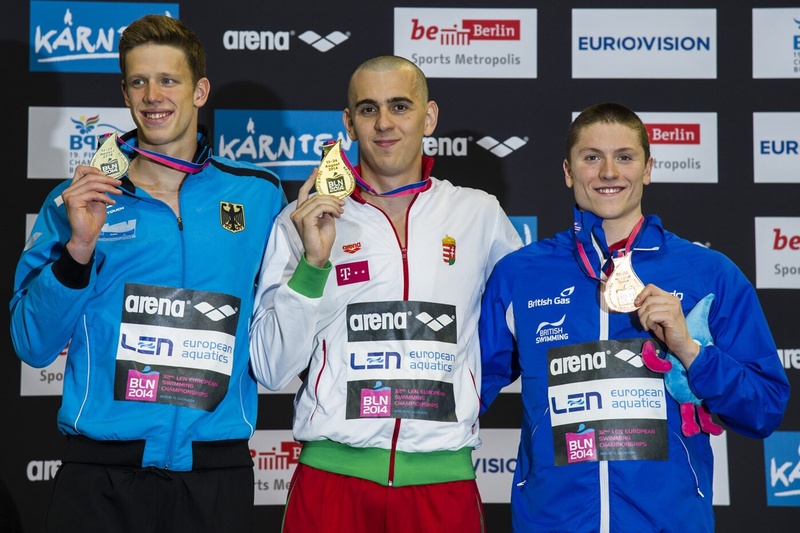 What’s more, many have swum faster in Berlin than they did three weeks ago. Even those who haven’t moved forward on the clock have swum in championship style, progressing through the rounds and winning the racing. Chris Walker Hebborn in the 100m backstroke is the perfect example of that – off his times from Glasgow but dropping time in each race and winning when it mattered. The fight shown by Roberto Pavoni in the closing metres of the 200IM is another case in point – there was a time where you might expect the GB swimmers to lose out in those tight finishes, but no more. Pavoni came out disappointed he hadn’t won despite it being his first senior medal. That racing attitude has been one of the big plusses so far; it was a stated area for improvement when Bill Furniss took over and it seems to be having effect. There has been promise from the younger team members too – maiden sub 15-minute efforts in the 1500 free for Jay Lelliott and Stephen Milne gave them a boost into the higher echelons of distance swimming, while Lelliott already had a surprise bronze medal round his neck from the 400 freestye. The “no fear” attitude shown by those two has been symptomatic of the team’s approach. Much has been made that this is Britain’s first proper go at Europeans since 1999 – they’ve certainly made the trip worthwhile so far. The second half of the journey promises even more.